Forty kilometers away from a large logging site is Kamasawi, a village of about 800 people. Remote and surrounded by jungle, the village’s only key to the outside world has been the logging company. 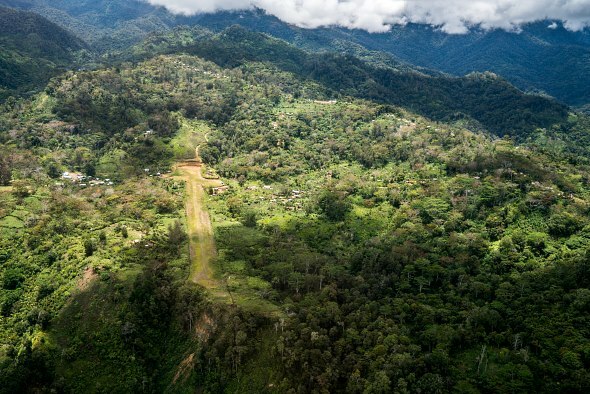 Though it recently tried to build a new airstrip for Kamasawi, it wasn’t able to be completed due to a shortage of funds. This was and continues to be a great disappointment for the village. Before, the villagers would have to travel about a hundred kilometers to get to the nearest cellular coverage area. There was no immediate communication to the outside world. But that soon would change. 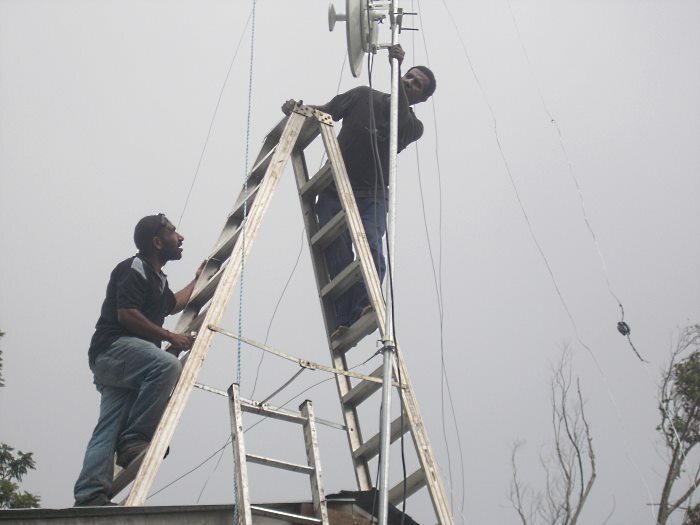 MAF generously funded the radio, and flew one of CRMF’s technicians to install it. – David Feka, CRMF head technician. The village was full of joy as they saw David’s progress every day. 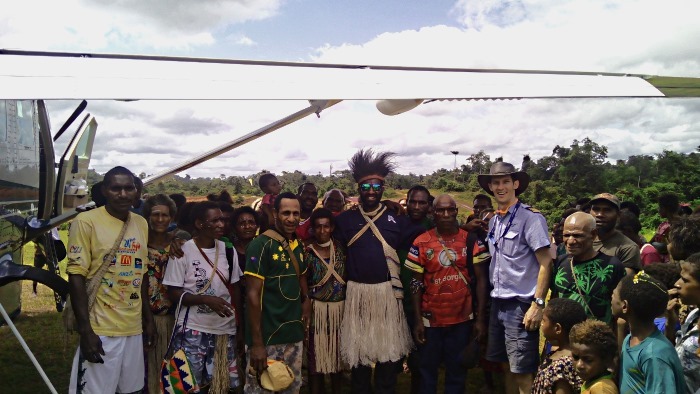 When about to leave, they insisted our technician be dressed up in their traditional attire and they held a short thank you ceremony. 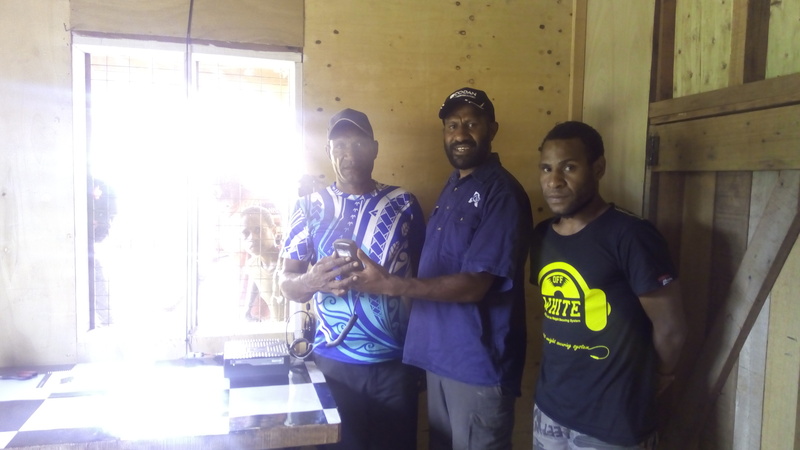 Several more radios will be installed over the next few months, all sponsored by MAF. We are excited to be a part of this new project and see lives and communities transformed.